PA has become the fourth state in the US to offer legal online gambling and poker action. Here’s an overview of what you need to know about Pennsylvania Online Casinos. 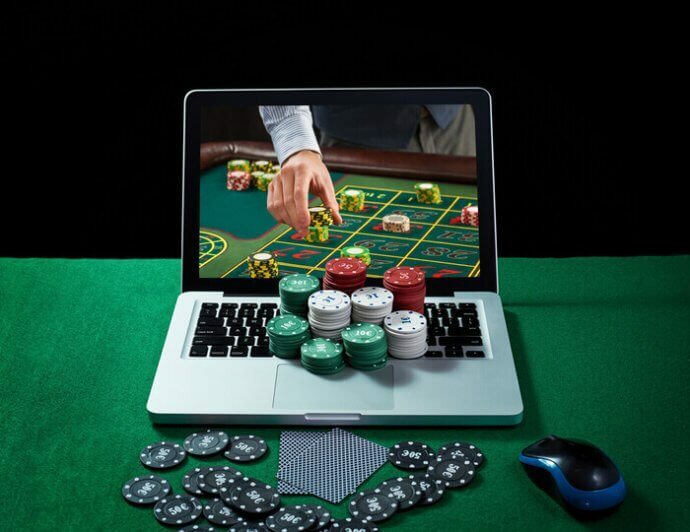 Just recently, the governor signed a bill to authorize and regulate forms of online gambling. This is great news for those in The Keystone State! They can soon access top rated casino sites to play online slots, poker, blackjack and other casino games within the borders of Pennsylvania. Anticipate multiple online casinos to be up and running before 2019 ends. Players are already eagerly awaiting the opening of such sites so they can start enjoying thrilling gambling action from the comforts of home. At this time, the state of PA has received nine applications for online gambling licenses. These casinos have paid a $10 million license fee that entitles them to offer online slots, online table games, and online poker to players the state. In order for any online casino to operate legally, it must be affiliated with a land casino within the state (as in NJ too), so there are some great sites that could soon be opening their doors to online gamblers in the near future. Having an online license will allow sites to offer real money games to residents while providing player protection and levels of security. Pennsylvania may not be the gambling mecca in the US (yet), but there are some great operating land casinos that will soon be offering online gambling. At this time, there are no operating online casinos up and running, but they will soon be available and players can look forward to some thrilling gaming action online and on mobile devices. 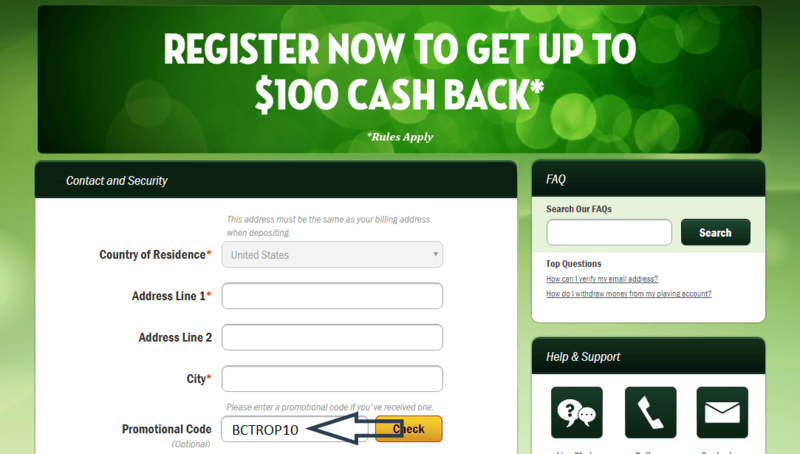 Watch for them to kick off and offer outstanding bonus and promos. When legal online casinos in PA start operating, players will be sure to find some exceptional slot games that can be played for free as well as for real money wagers. The top online casinos in PA will always offer a great array of online slots. Players will have access to popular titles from some of the best software developers in the gaming industry. There is huge slot game variety, including a mix of 3×5 reel selections and much larger slots (like featured below). As is standard, amazing betting options for every type of player will be supported. Graphically, they can compete with the best video game systems and you’re sure to find something that fits your style. Online slots are among the most popular games for gamblers, they are simple to play and require no special skills. With the games that will be found at licensed online casinos in PA, players will surely be able to engage in thrilling action and generate some superb payouts as they spin the reels on themed games that feature high payouts, bonus rounds, and even progressive jackpots. 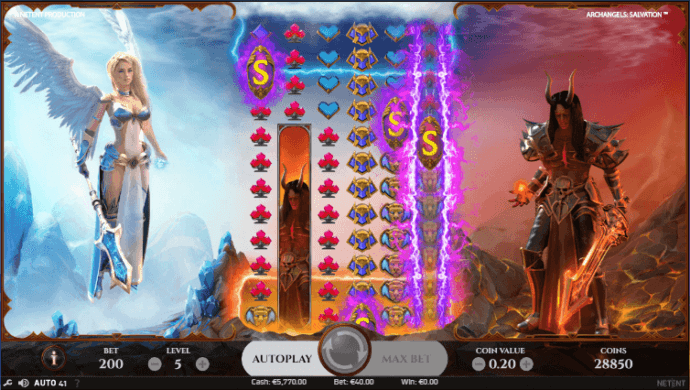 Archangels: Salvation is making waves as a hugely popular online slot with a Heaven vs Hell theme. Poker fans will also find some exciting poker options with legal online casinos and there will be an array of game variations that can be played online and on mobile devices. Poker is one of the more popular card games enjoyed by players all over the world and PA online casinos will offer the most popular games, which can include Texas Hold Em, Casino Hold Em, Omaha, Caribbean Stud, Five Card Draw, Pai Gow Poker, and other game titles. Many of the online sites that will soon start operating may also offer poker tournaments, where players can buy-in to an event and compete against other players for the chance to win some massive prize pool payouts. No matter what types of poker games players enjoy, they will be sure to find something that will meet their needs online PA online casinos start top operate this year. Gamblers who are awaiting the opening of licensed online casinos in PA will be ready to start wagering on blackjack and roulette games. These games are casino classics and they are sure to be offered at leading casino sites. Players can expect to find multiple variations of blackjack, which may include Classic Blackjack. Blackjack Surrender, Atlantic City Blackjack, Vegas Strip Blackjack, and others. Many of the supported blackjack games will be available in multi-player format as well. As for roulette games, one can watch for American, European and even French roulette games to be offered. These games all provide excellent betting options and great chances to collect real money payouts, so roulette and blackjack games will definitely be a main attraction at PA online casinos.